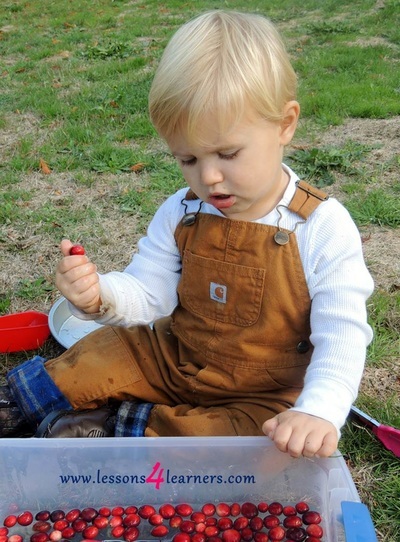 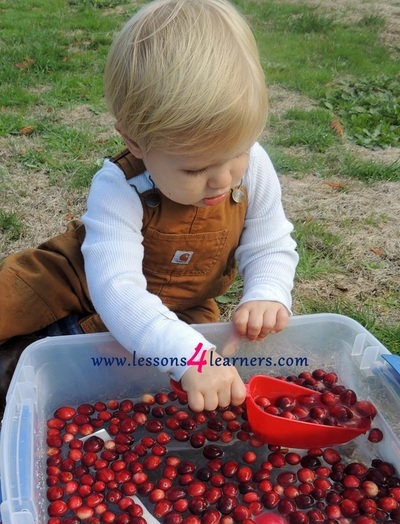 Observe and record the child’s fine motor skills. 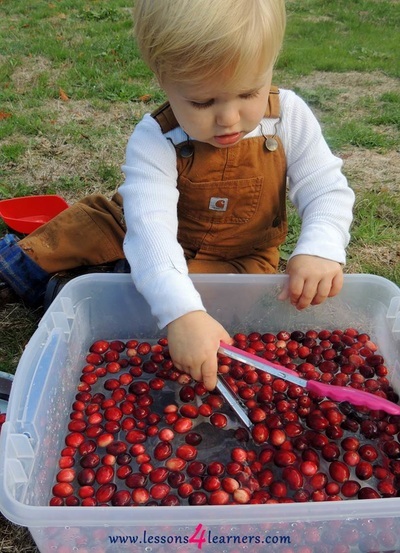 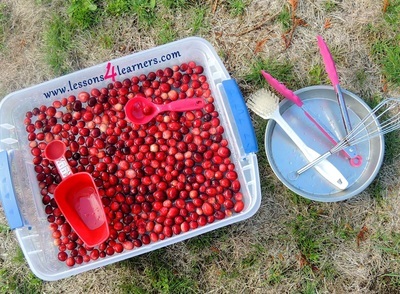 Were they able to scoop the cranberries using the cup? 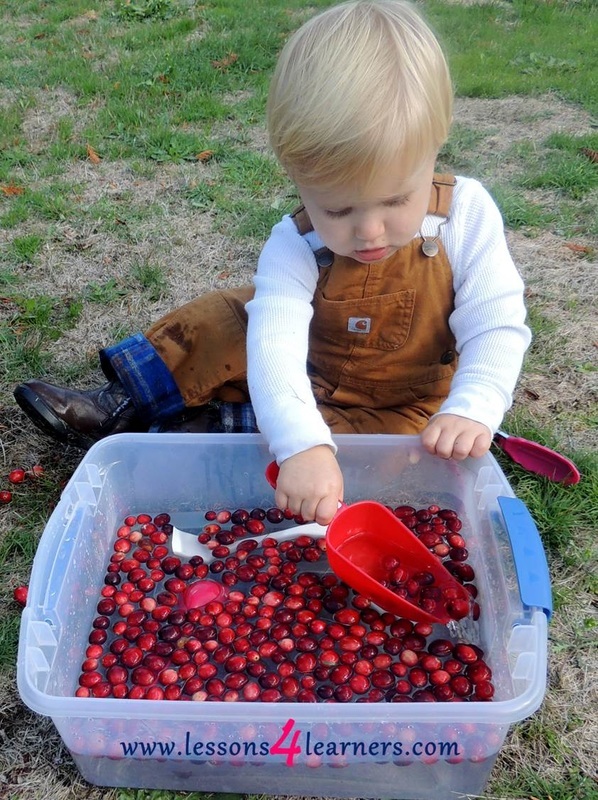 Were they able to pinch and pick them up using the tongs? 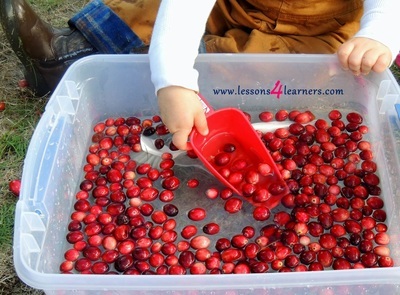 Did they relate the information presented in the story to the sensory time?